Get Your FREE Cash Offer Below! Speed Property Buyers were extremely polite and professional at all times and helped us solve difficult situations if and when they arose. I wanted to sell my house fast, and I was very pleased with the property buying service. Very quick. Kept us involved all through the sale. Once you’ve completed the online quote form, we’ll get in touch almost instantly. When using a house buying company you have the choice of when you want to exchange and move home. You can opt to get the cash into your bank account as quickly as 5 working days. Selling via an auction house can be unreliable, and selling though a traditional estate agency can be slow and frustrating. If you want to sell your house fast, using a company that buys houses is one of the best options. We’re a small, dedicated team with big ambitions. Our aim is to provide the best service in the property buying market. Our expertise and small size allow us to cater to each and every client properly, and personally. Even if you’re facing a difficult situation, such as property repossession, we can help. 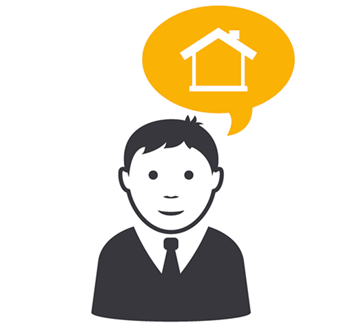 As property buyers we have a vast amount of experience in all areas of the property industry. What Is a Cash House Buyer? We will purchase your house directly in a time scale that suits you, it’s a completely stress free property sale. We can buy any property, in any condition, anywhere in the United Kingdom. If you provide us with full property information and are willing to accept a figure slightly lower than the full market value, we can buy your house in as little as seven working days. We are a small, friendly property cash buying team and we pride ourselves on our honesty and transparency. It’s a completely free and stress free service. Find out how much we will buy your house for by using the contact form above. Selling your house for cash is a very easy and stress free alternative to using your local estate agent. As a cash buyer, we’ve bought and sold thousands of properties over the years. We’ll guide you through the quick house sale process step by step. If you decide to use Speed Property Buyers to sell your house we will cover all of the costs and work on a time frame to suit you. We have vast cash funds available to buy property, and we can make an instant BACS payment once the legal work is complete. We buy any home in the United Kingdom. Whether it needs repair or you’ve inherited a property and need to sell your home fast. We’re proud to provide a completely free service. A free house valuation, and zero legal fees. We don’t even tie you into a contract. You can sell your house fast with Speed Property Buyers. 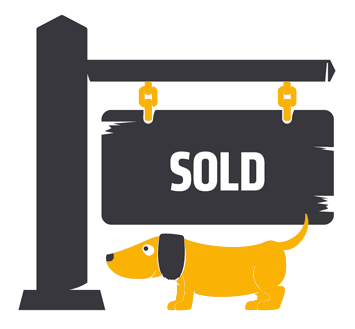 We’ve bought houses for cash in as quickly as 5 days but you can take longer if you need to. We don’t advertise the sale of your property and there are no viewings. We buy houses discretely and respectfully. Our service caters to you and your situation. You choose the date you would like to move. There is no pressure. We are founding members of the National Association of Property Buyers and members of The Property Ombudsman. We’re proud of our transparent process. We welcome and endorse the redress system to the quick house sale and property industry. We’re one of the founding members of The National Association Of Property Buyers and are part of The Property Ombudsman Scheme. We provide you with the market information you need to give you peace of mind that you’re in safe hands. The Citizens Advice website will offer you impartial advice regarding civil matters, that includes free selling your home advice. The Property Ombudsman scheme has been around since 1990 and acts as an alternative dispute resolution service between consumers & property agents. The National Association of Property Buyers is run by professional property buyers who are committed to providing the highest possible standards in the industry and stop rogue companies ripping you off. The Royal Institue of Chartered Surveyors conduct professional and thorough inspections of properties to give you the best valuation. Rightmove and Zoopla are the two biggest property portals in the UK with the majority of estate agents listed only on their websites.